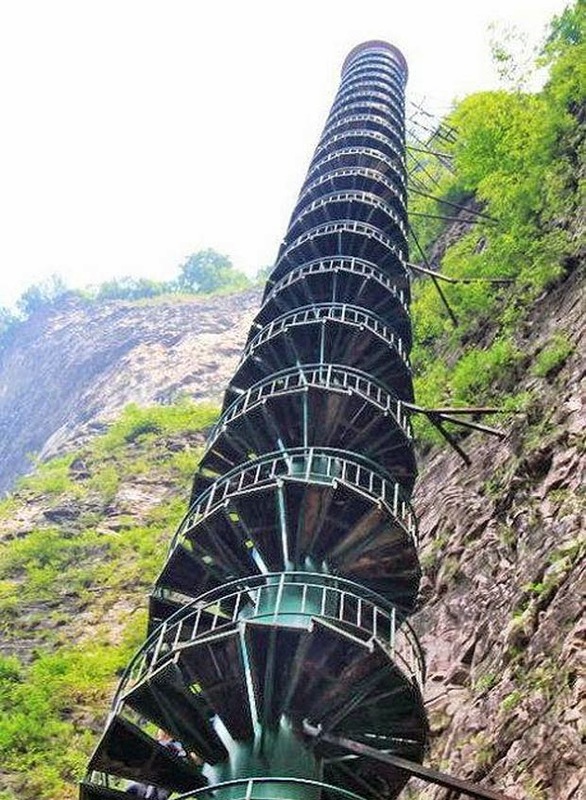 Chinese tourist officials in Linzhou, Henan province, hope the stairs will give visitors an actual experience of the mountain range. 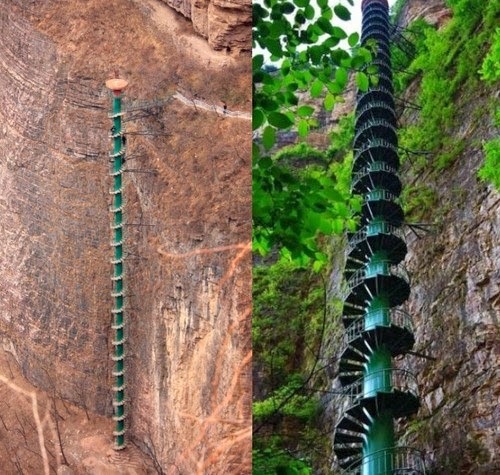 They wanted to boost the tourism by installing a huge spiral stair case. 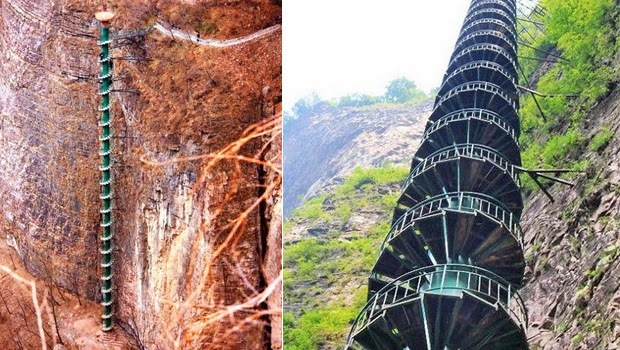 And they are hoping that their 300ft "Stairway to Heaven" will inspire people to visit this beauty spot of Taihang Mountains, in Linzhou, Henan province, China. 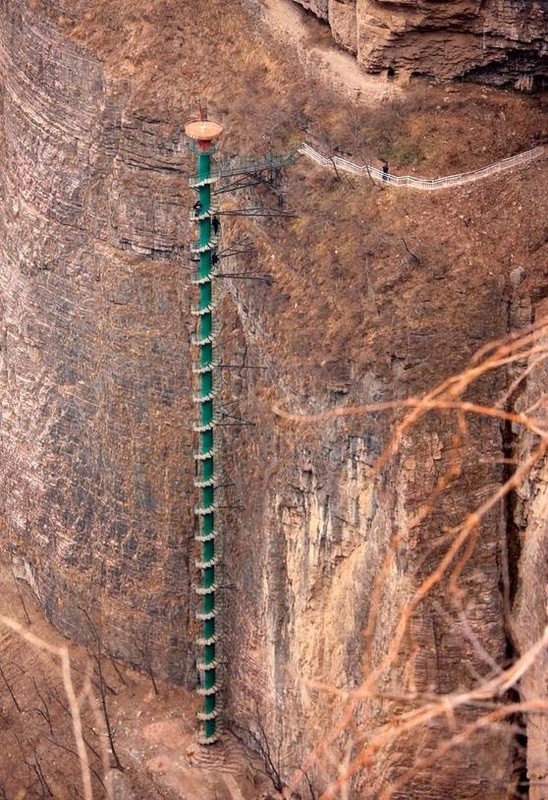 Just looking at these stairs is adequate to give anyone vertigo, but they are anticipated to attract thousands of tourists in China. 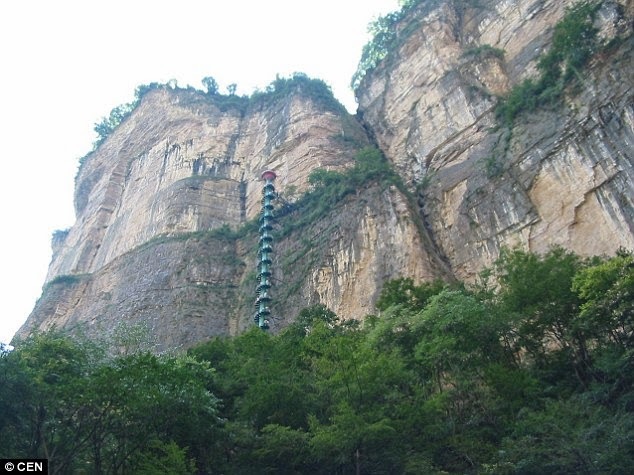 The spiral staircase has been installed on the wall of the Taihang Mountains in Linzhou to offer the thrill of mountaineering without the danger. The most astonishing moments is when the wind blows and batters them, the birds fly past them, the stairs creak. It is a lot more authentic than an elevator. 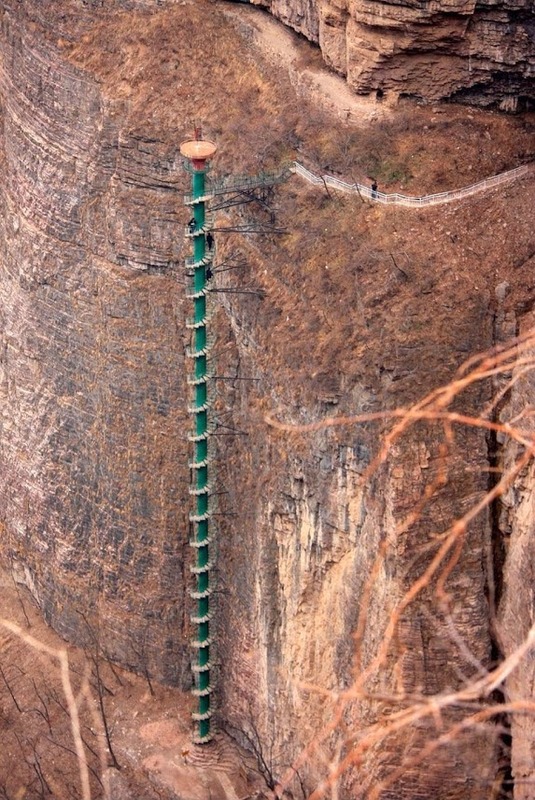 Therefore; for health and safety reasons, the stairs do not offer admission to just anyone. All potential climbers have to sign a form stating that they have no heart or lung problems and are under 60 years of age. 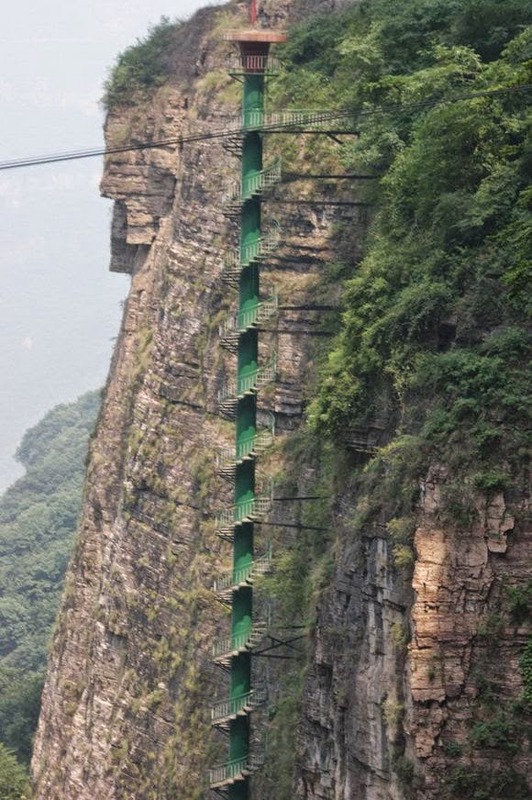 If you got halfway up and couldn't go any further, you might just have to stay there. 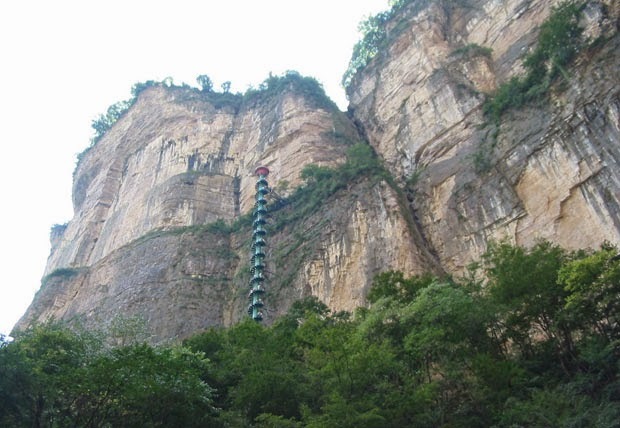 The Taihang Mountain range encompasses 250 miles from north to south and runs through Shanxi, Henan and Hebei provinces. Most peaks range from 5,000 to 6,500ft, with the principal peak of Xiao Wutaishan reaching 9,455ft.